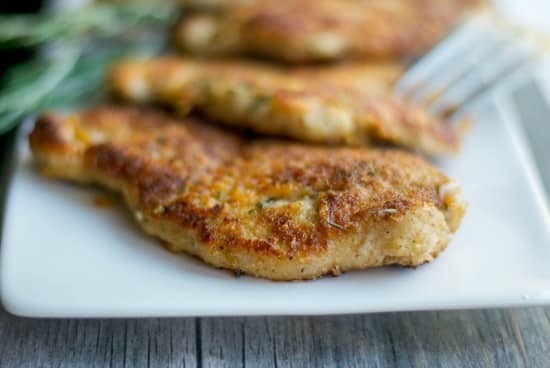 Simple to make with only three ingredients, these Italian Breaded Pork Chops will be your new go-to weeknight dinner recipe. Do you want to know a secret? Cooking doesn’t have to be difficult. Ok so it’s not so much a secret as it is a rule to live by; well at least it is in my home. We all have those go-to dinners we make over and over again when we’re tired and spent from a hectic day; and I’m no exception. After all, we’re only human and I must make these Italian Breaded Pork Chops at least twice a month. Then why have I not shared them until now, you ask? Well probably because they’re so easy, I can hardly call it a recipe. I recently shared my 30 Meatless Meals for Good Friday post on my Facebook page and a reader commented about how he was trying to cut back on the pasta and was glad to have some other ideas and I totally get it. Meal planning is difficult for me as well because I generally only eat pasta 2-3 times per month, legumes 1-2 times per month and beef 2-4 times per month. Since I don’t eat any seafood, that doesn’t leave me with a lot of options; which is why there are some recipes I tend to make over and over again throughout the course of a year. 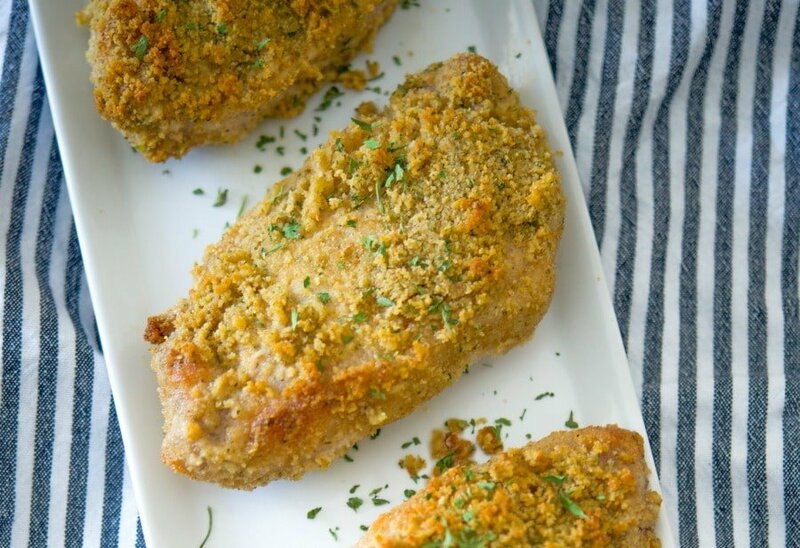 These Italian Breaded Pork Chops are one of our favorites because all you need are boneless center cut pork chops, Italian flavored breadcrumbs (now you can even get them gluten free! ), and Extra Virgin Olive Oil. I prefer to use the boneless pork chops because they’re generally leaner with less fat. To save money, you can even purchase a boneless pork loin; then cut it into individual chops, wrap tightly in portion sizes and freeze. 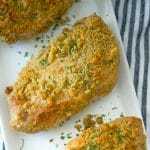 To make these pork chops, first preheat your oven to 375 degrees F. Next, combine the breadcrumbs and the oil in a bowl and mix with a fork until the breadcrumbs are moist and crumbly. 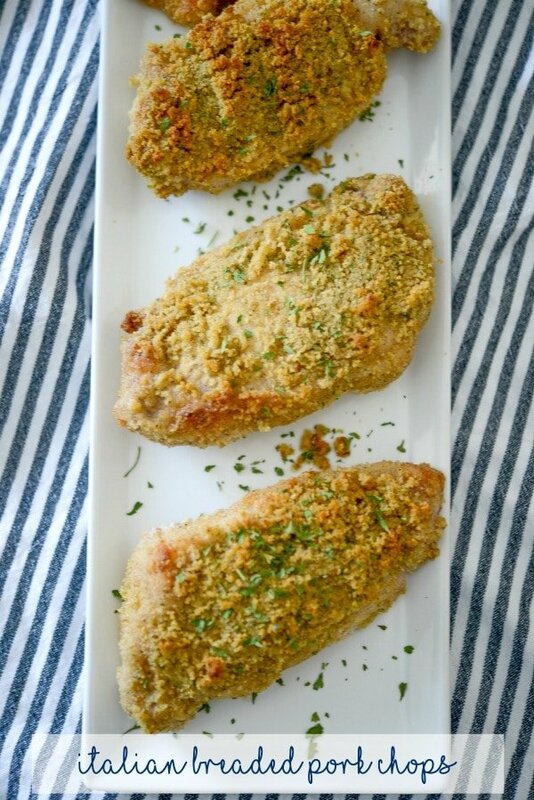 Press the pork chop into the breadcrumbs on both sides; then place on a wire rack on top of a baking sheet. Most of the breadcrumbs will not stick all over, but that’s ok.
Once you have coated all of your pork chops, take the fork and press the remaining breadcrumbs on top of the pork chops. Bake for 40-50 minutes (depending on the thickness of your pork chops) until the minimum internal reading from your meat thermometer is at least 145 degrees F.
Simple right? Now I hope you can see why I love this recipe so much. 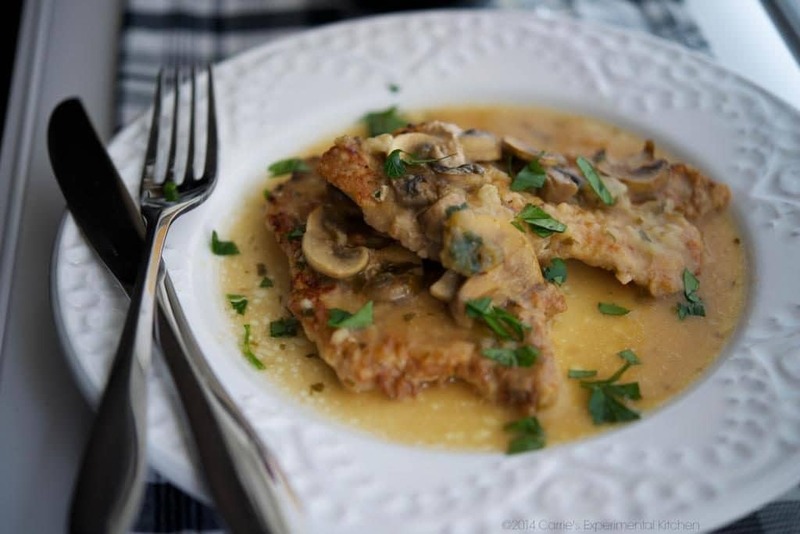 Not only are these Italian Breaded Pork Chops easy to make, they’re so moist and never dried out. Serve these with your favorite side dish and vegetable and dinner is ready! ~Enjoy! Combine the breadcrumbs and the oil in a bowl and mix with a fork until the breadcrumbs are moist and crumbly. 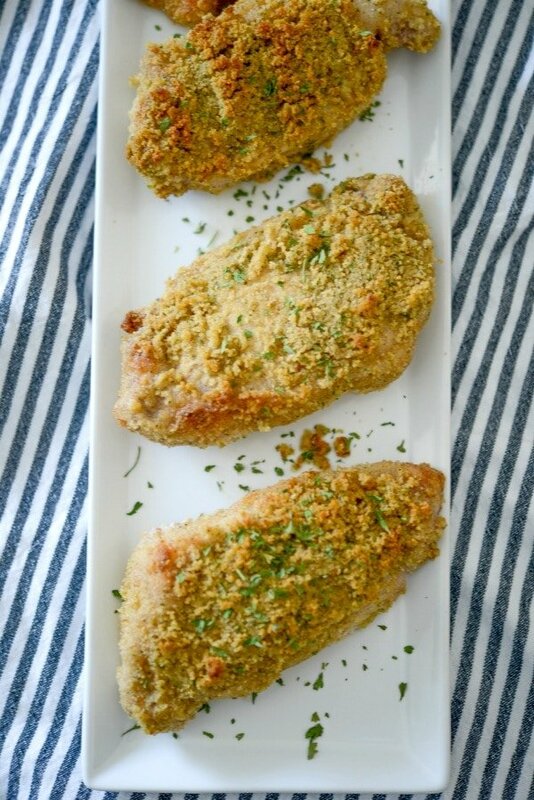 Press the pork chop into the breadcrumbs on both sides; then place on a wire rack on top of a baking sheet. (Most of the breadcrumbs will not stick all over, but that's ok.) Once you have coated all of your pork chops, take the fork and press the remaining breadcrumbs on top of the pork chops. 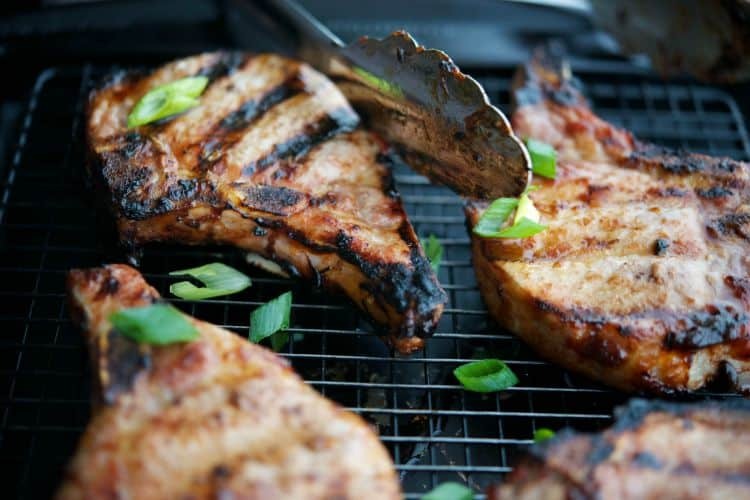 Bake for 40-50 minutes (depending on the thickness of your pork chops) until the minimum internal reading from your meat thermometer is at least 145 degrees F.